As if the Gothic cathedrals of France were not beautiful enough already, several have been illuminated this year in dramatic and vivid colors. These shows will continue for the last few weeks of Dec 2011 if you are fortunate to be in France. The Amiens Cathedral is also illuminated through December in a similar fashion. 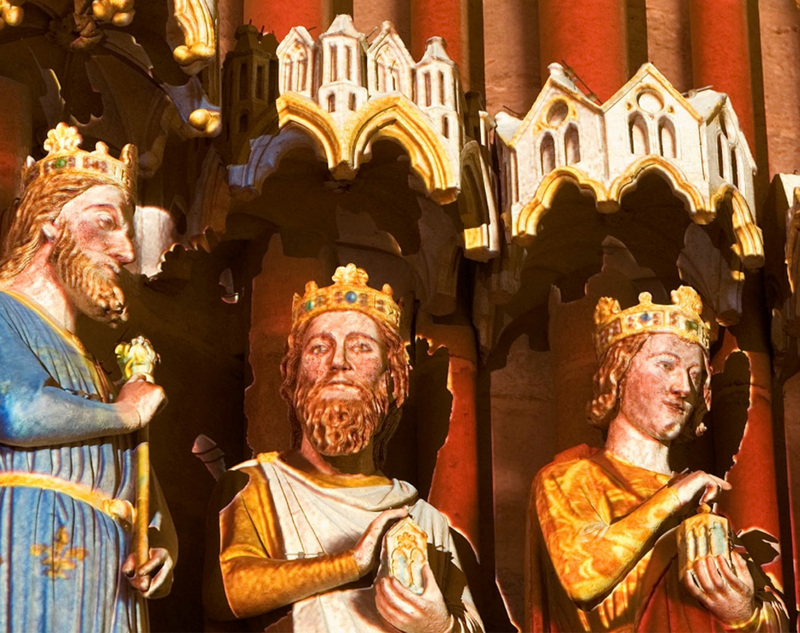 There is no flashy show but you do have the chance to visualize the originally painted facade of the cathedral. Like Reims, the image projection and matching is incredible, although you can see some of the shadows in the close-up image below. I love the name of your blog! And your photos are fascinating. Oh my goodness that angel is FABULOUS!